BASI DEMO INTERSKI 2015 USHUAIA! Where do I start?, It’s a mad dash to get this information up as soon as I arrived back at the hotel this eve. It was a fantastic show from the BASI team today and a real pleasure to be here with the World Class Skiing Posse to support the Team. This is how my day started…..with a sunken boat in the Beagle Channel…. After that it got a bit more exciting! It’s widely acknowledged here that the professionalism of BASI and level of performance has been the talk of the town this week, and INTERSKI! The team did the association proud and Andi McCann delivered a solid performance from the team, and also a fantastic audio presentation on how BASI exports fantastic ski teachers world wide. Well done Andi, brilliant job! There is so much to say here, but I feel that with the time restraints on getting this information up there I have decided to let the pictures do the talking. The weather today was variable to say the least! Overcast with a blisteringly cold Antarctic wind howling across the slope, as it only can be…..at the end of the world…. That’s what the sign says! Back again, same sign, better weather and great company! Last time I was here was in 2010 with Rob, BASI gap buddy from Australia. border. Crazy paperwork for a beurocratic system which seems to employ so many people for what could be a much simper job. Ah well, at least we got to Chile, eventually. Seen here, a happy? border control chap, his job is simply to give out or take in, a single piece of paper with your total passengers on board. How mind numbing! The boys at the top. and of course, the girls from Ski Bartlett! We had just enough time to drive about 50 kms to what was the most fabulous restaurant. Superb views, superb food and a great welcome from the staff…Think I will be going back there… They have several rooms to rent out in this idyllic setting and a private mini bus to escourt you to the nearest skiing area. So, this is on my next visit for the 2016 adventure! Take a look at this for accommodation. Now this is something special. Will you be joining us in 2016? How the other half live in Chile. However, regarding the other half… the Porche parked outside our accommodation this evening has a Chilean number plate, this is a rare care to be seen in Argentina…and just shows how their economy is thriving. Hey ho, Soon to be taking our Flight to Ushuaia, where all our buddies are already for the event next week. Today we all said how easy it would be to live in Chile, it has a real, feel at home, sense about it, infact, we got into conversation with a local chap today, he sells fish farming equipment to Scottish businesses, it is amazing how little distance apart we have with each other….. it’s a small world alright. At last an internet connection! So far just the odd posting on Facebook and the very intermittent tweet…..not enough to show the splendour. The skiing keeps getting better here in Bariloche. The sun is out and it’s just amazing, views, snow and the company. Day 4 and the adventure is well under way with plenty of fine weather and great conditions. Apparently the area has suffered some pretty bad weather of late and now the sun is out everyone seems to be basking in the fine conditions. As we have a private transfer every day from the centre of Bariloche to Cerro Catedral and all the skiing, the driver, Silvio, has kindly offered to show us the beautiful surroundings of Lau Lau and the magnificent views. I remember taking my hire car around this area several years ago and it left an amazing in print in my memory of the breathtaking views of the lake. It is said that this view, seen here later in the blog, is one of the National Geographic most wonderful views in the world! Now that’s worth seeing. 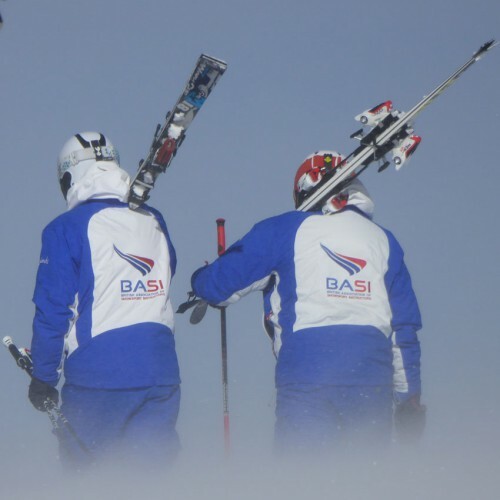 In contrast to our free ski week and our ‘ what time for coffee’ attitude, the BASI trainers working here for BASI and PEAK LEADERS running the gap course for ski teachers, Lesley and Mike, have a full month of training to do and are doing so in the BASI professional way. We chatted about just what an amazing thing skiing has done for us all, enabling us to visit the most fantastic countries in the world, we are lucky…..
Jenny and Dianne basking in the Patagonian sunlight….with Patagonia jackets! quite fitting don’t you think? Mick taking it all in.. 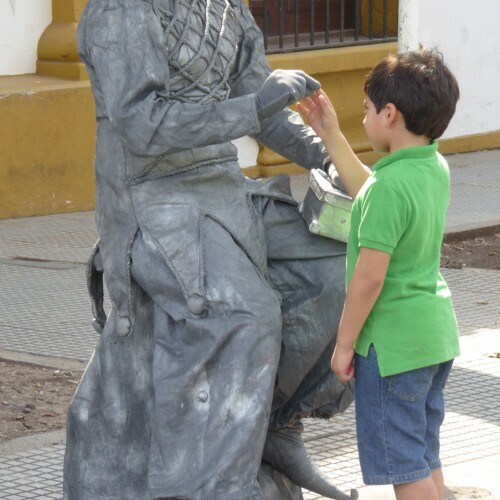 It seems that with our Argentinian adventure that we do not have enough time to see everything, but we are giving it a good go, so much to see and so little time to see it. Lesley me and Mike, the hard working ones are in a blue suit….. Departing tomorrow for Villa Angostura, we will have the next 2 days relaxing and a possible day trip to Chile, with a stamp in the passport to prove. 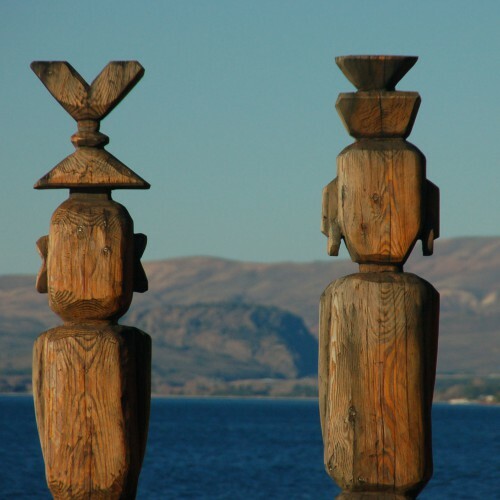 Here below we have ‘TWEEDLE DEE AND TWEEDLE DUM’ they are the guardians of the lake…looking north, they must be waiting…for something. Empty pool, empty life guard…..dont jump its concrete! ! Its been an interesting time here in Bariloche, my last visits have mainly been alone and I have managed to see the other side of the city, and I have already written about this in past blogs, 2010! 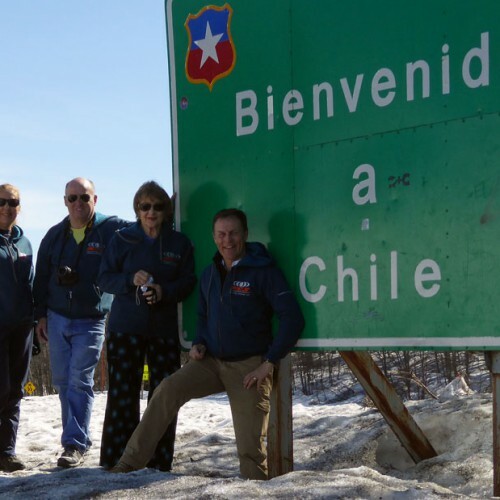 Mick, Dianne, Jenny and Tony, are certainly getting the most out of South America, they make a superb travelling team with great evening conversations and daytime snow fun its certainly a trip to remember! Its time to pack and move on, onto Villa Angostura, the question on every ones mind…..is this the birthplace of the bitters? Lets find out. The South American adventure begins! With Mick Kelly, Tony Clipstone, Jenny Dalrymple- Hay and Dianne Bartlett, a close knit adventure team! We had a great BA flight to Buenos Aires today. Arriving at 8.15 am! At the hotel by 10 am and on the streets by 10.15 for a well earned coffee at 11.am in the Recoleta area of downtown. We managed to visit the BA Cemetry, 4800 tombs in total, a place of rest and what an odd, spooky, yet wonderful place it is. Its quite difficult to explain here, so I’ve rather let the pictures tell the story. One tomb we had to visit was Eva Peron, a rather modest tomb and hidden in a back ally compared to some of the very grand tombs of the rest of society. She achieved so much and stood for the people who had nothing, they were known as the ‘Shirtless’ ones, her fight for this was not encouraged by the then Milatary run polictical parties at the time….She died at the age of 33 in 1952. And then theres the other side of Buenos Aires…like any other city but perhaps a little more obvious than most..
Well we are off to Bariloche soon and apparently the snow is just fantastic with a forecast of sun sun and more sun all week! Until the next blog, which I’m sure will be full of skiing and Patagonian images! 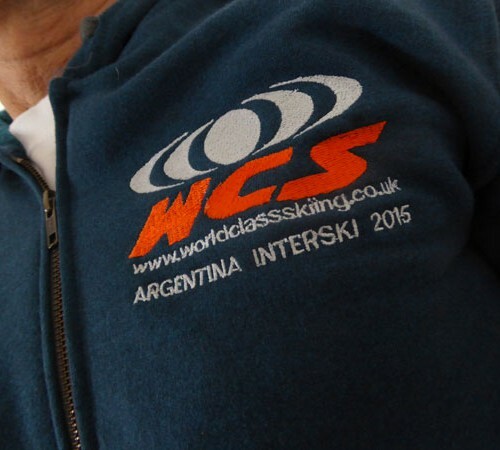 SOON TO BE IN ARGENTINA INTERSKI 2015! We leave the UK on the 28th August for a whirlwind tour of Argentina and its beautiful wild country. Visiting Buenos Aires, Bariloche, Cerro Cattedral, Estancia Huechahue, Calefatte, and finally to the Southernmost City in the world..Ushuaia where we will witness the world ski instructors congress…INTERSKI 2015! The congress is a meeting of the worlds ski and Snowsport instructors to pool ideas and demonstrate these new ideas and basically put on a bit of a show. The format is that each day various countries put on their demonstration, a show if you like, of their performance and an overview of their teaching principles. The whole idea is to generate interest so that others will attend your ski workshops during the afternoon of your ‘SHOW’ This puts your country into the great position of meeting others and discussing new methods, and of course, a great way to develop good relations with fellow ski countries!. We are looking forward to supporting BASI and IASI at the event! GO GUYS! So, our adventure is near, a wild Argentinian adventure, fantastic steaks, fantastic wine, fantastic skiing and of course, fantastic people! P.S. There maybe some space for you, even at this late stage! Share this news to your friends! This years conference in Zermatt has been a great success. With over 60 trainers from all our disciplines gather and discuss how e can improve our ski teachers courses and ensure we are delivering a consistent product. Zermatt this time of year is notoriously fickle with the weather! so the first few days were called off on the hill, however, from Tuesday onwards the mountain provided us with some fantastic skiing and amazing views of the Matterhorn and the surrounding area. A fantastic few days here in Zermatt, here’s to a great winter and successful BASI courses! A truly GREAT 2 weeks in Hintertux this year. Some fantastic skiing and of course, fantastic company! The first week was looking a little bare on the slopes but nonetheless, the snow was very good and the skiing great fun. By the time the second week approached the weather turned and with well over 1 mtr of snow falling overnight the mountain had to close due to the overwhelming amount of snow! No wind, no rain just snow. It took the mountain a day to arrange the pistes and set up the lifts to function properly. My car, the day after…..
What an excitement this was once it all opened the next day. Beautiful sunshine and fresh deep snow to ski on. With so many new World Class Skiing members this year it was a superb introduction to the benefits of skiing with like minded skiers with quality tuition. For the second week we were proud to have back with us John Gardiner, one of the founder creators of the World Class Skiing concept. 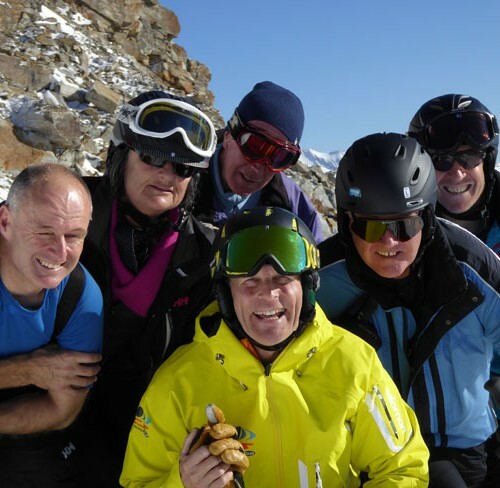 It was a pleasure to ski with John again this year and if I’m right, he’s hooked on joining us again next year to ensure you get the best from your skiing!. Many thanks John, its great to have you back with us again! Of course, the Hohenhaus at the foot of the lift station was the apres ski venue (almost) every day. If you dare have 2 beers you will be in there for the duration…dancing, laughing, chatting and generally having some great times! The Bad Hotel Kirchler is a superb hotel and well positioned location for easy access to the lifts…and of course the Hohenhaus! With the addition of the Berghof Hotel this year you now have 2 Hotel venues to choose from. The Berghof is a superbly appointed Hotel with outstanding facilities and is just over the road from the Bad Hotel Kirchler. So if you are coming next year…take your choice! All that is left to say is thank you to all who came this year, it is YOU that make the skiing and the great times! See you all with us again in 2015! Early booking strongly recommended, keep an eye on your emails for your 2015 discount code! The lower area of Whistler and Blackcomb mountain is littered with the plant. Especially on the golf course. So you might ask, what’s the deal with this bright, colourful and smelly named plant?…Well, its the staple diet of the local bears. Just the ticket for improving bowel movements if you’ve been asleep for 6 months! I have been trying to get in a position, a safe one, to take a picture of one of the bears but alas they are not playing ball. So a picture of a skunk cabbage is the best I can do at the moment. Trudging through skunk cabbages and bear poo is not on my agenda right now…a BASI course is.. I am here running a BASI level 2 in association with ‘Yes Improvement’s owned by P.J. O’Heany. I have been made most welcome here and P.J. has ensured that my stay has been the best it can be. Many thanks P.J.! Staying at the Alta Vista Chalet, seen here, staffed by Silkie, from Devon! it has been great with some great food cooked by Silkie, many thanks!.. The Chalet offers very comfortable accommodation, cosy and warm. Ideally situated close to the local bus service up and down the main highway to both Creekside and Whistler main village. Silkie & George. George works with the Whistler snow school and has had a busy winter teaching and now about to tackle the CSIA level 3, good luck George! ‘YES IMPROVEMENT’ is based in Whistler but also have programmes and courses running in many different countries around the world. A tour programme for like minded skiers. The course programme here is for students to undertake the Canadian levels one and two but also leave the extended programme with a BASI level two also. It is great to be working alongside YES and the CSIA. The first week I had the pleasure of skiing with Meesh, he and I worked together learning about the two Instructor qualifications and the overlap of delivery. Its all very similar but just slightly different wording we decided! This is the very first BASI course run in Canada and it looks to be the first of many! The reception on the mountain has been just great, many instructors and other skiers approaching me to enquire about BASI and some who have been here for years from the UK and mentioning that they are old BASI members! We need to be here BASI, so lets make it happen again in the future. Working with your BASI qualification in Canada. ‘I first did my BASI level 1 course at Breahead and used the qualification to teach at the centre. 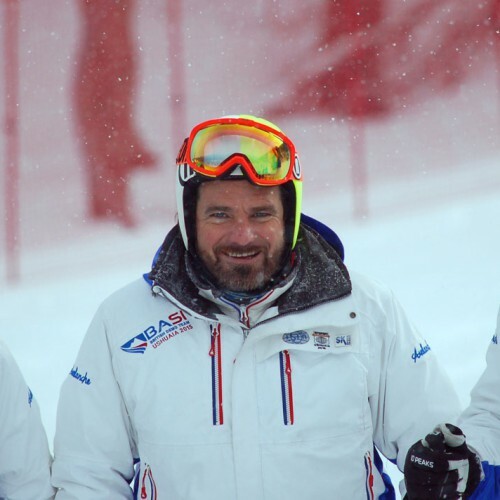 After several years and various positions I decided to come out to Canada, On arrival at Whistler I made it known that I held a BASI level 1…next thing I’m teaching children and working in the ski school!. After some time at this I ended up working as a patroler and now am one of the main full time patrolers on the mountain. From blasting avalanches in danger zones to rescuing injured skiers/boarders on the hill. Its so rewarding. I now am planning on using my Level 2 to work even more with the ski school in the future. I love living and working in Canada and especially Whistler. BASI was the catalyst in helping me achieve this’. Who says you can not get a job with a BASI level 1 or 2?! ‘There’s more than just France out there you know! By chance, Dave, a friend from the UK who lives just a few miles from me, was here on Holiday. Dave is also on the BASI ladder and joined us for a day to shadow the session. Great to ski with you Dave. What an amazing place….BC…especially Whistler/Blackcomb…however, its the people that make it..! Having the bonus of the 2 free days mid course meant that I was in a position to get around the area. I decided to shoot off to Vancouver for the weekend. Travel here is easy with regular bus services to and from the city. A day and a half in Vancouver is just not long enough to witness the exciting area. I managed to get across to Lonsdale Quay, and a quick wander around downtown to get a feel for the city. Having looked up several hotels I decided on the Landmark hotel, I was unaware when I booked that it has the best view of the city from its revolving restaurant on the 42nd floor! Fab! It was just fantastic. After checking with the visitor centre on the water front, the reception I got from the guides there was superb, just great service. I mentioned that I only had so many hours there so what should I do? My itinerary was quickly arranged for the Sunday, taking in Capilano suspension bridge and the Aquarium to see the Beluga whales. This is situated on Stanley Park a beautiful area of the city. You can hire bikes to tour around, I sadly did not have time to do this..next time I hope. An odd thing happened, on the Sunday morning..my cousin (whom I have NEVER met, only had an address, no email nor phone) lives in N Vancouver, I opened google maps on my phone, to my amazement I find that his house is only 1.4 miles from where I was standing. Do I hire a cab and go? or just walk away? I hired a cab…nervously……asked the cabbie to hang on for a few minutes…I knocked at the front door…several times…no one in, disappointed I get back in the cab…. Never mind I thought, the meeting will just will have to wait till next time, as I’m coming back to Vancouver BC! Main rail line..outside our back door… Travel…its addictive……..
What’s skiing done for me? ?….well, its given me travel, to see the world, fantastic days on the mountains, the thrill of moving around on snow and above all….. to meet new friends and be with some great happy people…..
Ho! and I nearly forgot….I did see some bears…munching dinner on the golf course.. If you like the blog please share! Need something to blog about and time has arrived! After a superb flight with BA with great service, arrival at Vancouver at 18.30 was a breeze, however, the body clock didn’t like it. Some of my relatives moved out here many moons ago and I can see why. To be in a position that you can either sail your yacht, paddle your canoe or just enjoy the beaches and still be within a short distance from the mountains and some superb skiing is just heaven! A short cycle around Alta Lake and shows up some very interesting architecture, To build like this in the UK would have the planners spinning! And of course more traditional…..! The plan is to deliver the course during the week and have a day or so off in Vancouver at the week end…let’s see how it works out….. Ski day tomorrow so excited about my day on the hill!